There’s something really special about luxury accommodation. Between the high-end design and finer details, there’s something to enjoy from every angle. But what’s to say you can’t enjoy that same feeling in your home? Character and personality are on the agenda, with effortless living, high-quality construction and self-indulgence in focus. Luxury architectural features are complemented by texture and style, with rich and vibrant colours and opulent furnishings all chosen to enhance your lifestyle. Minimalism is out, modernity and sophistication is in. 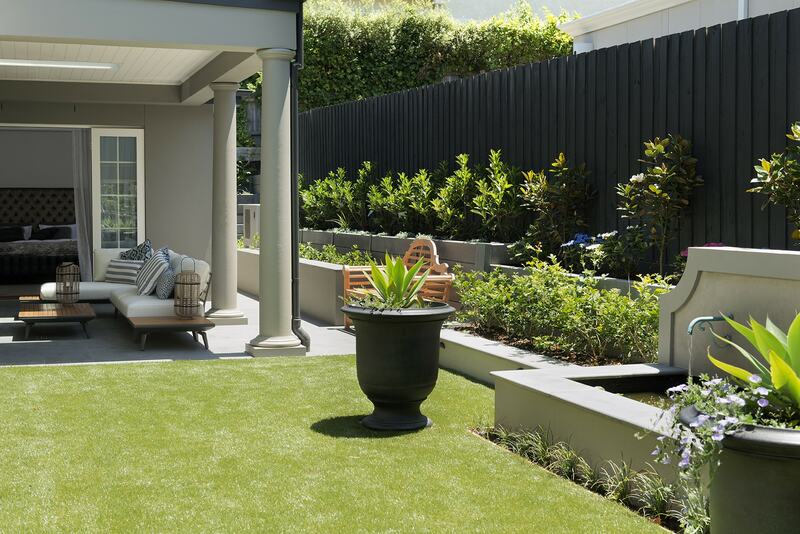 A seamless transition to the outdoor living area and gardens will also increase in importance, with integrated landscape and swimming pool design, natural stone paving and extruded accents rising in popularity. However, the trend towards low maintenance plant species will also remain, as homeowners don’t wish to spend all their time weeding, trimming and digging. Plants will be chosen for their screening ability, aesthetics and tendency to bloom all year round. We expect to see homes that cater not only for the building site and your functional needs, but for an amazing lifestyle. Smaller yet functional homes are increasingly popular, with benefits found in sustainability and minimal cleaning. This allows homeowners to spend more time doing the things they love while not sacrificing an enjoyable experience at home.